Every tile installation is unique and simply one method is not applicable to all installations. It's very important to be skilled in ALL aspects of tile installation. We've been in business since 1986 and we understand the importance of staying informed with all the latest technology & continued education with the most modern techniques as outlined by the TILE COUNCIL OF NORTH AMERICA. We regularly attend numerous workshops and classes to further our knowledge in the industry, but of course the big benefit to our clients is the thousands of hours working in the field on every type of tile installation possible. WE ARE "LICENSED" EXPERTS IN ALL METHODS OF TILE INSTALLATION. We have been building water proof, mold proof showers and crack free rock solid floors using a variety of methods to best suit the job conditions including, wet mud, durock, hardibacker, kerdi, and ditra. We are certified by Schluter for Kerdi and Ditra systems (for more info see http://www.schluter.com/) which is just one of our MANY TECHNIQUES used to achieve that life time worry free tile installation. We have done the tile installations in four of the six restrooms at the prestigious Troy Design Center as well as installations in the showrooms at Virginia Tile Co., Beaver Dist. and Ann sacks Tile. We also work all over town doing very intricate high-end installations through several different designers. Although we specialize in high-end remodel work (less seasoned installers are not experienced enough to do properly) we stay competitive in our pricing for all types of installations. Most importantly we have our long standing reputation as a fully licensed and insured company that stands behind every installation no matter how much time has passed. We have been in business over 32 years. We are happy to take on small jobs but are large enough to take on any size job weather it's residential, commercial, or new construction. 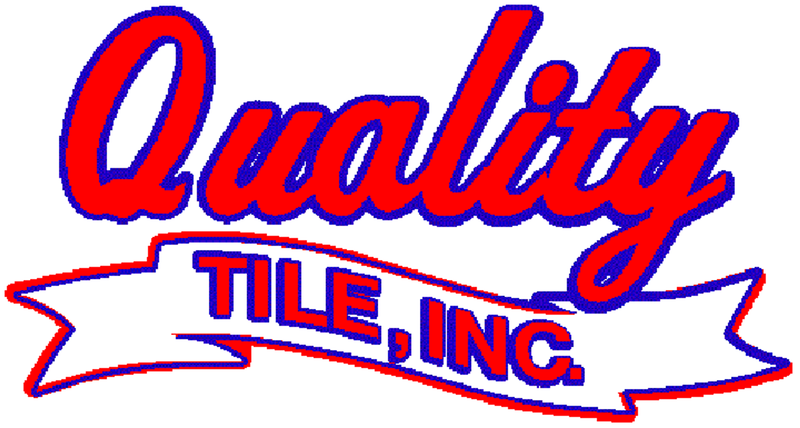 Quality Tile, Inc. was originally established in 1986. The company, with three employees, set out to establish a company that was built on quality workmanship, competitive prices and customer service that was above all others. Quality Tile, Inc. prides itself on expert installation of Ceramic Tile, Marble and Granite in all areas including Baths, Kitchens, Fireplaces, Floors and Back splashes. In addition, Quality Tile, Inc. has installed Tile, Marble and Granite in many commercial venues including Restaurants, Shopping Malls, Stadiums and Hotels. Quality Tile, Inc. has established a reputation over the last 32 years that signifies the best in the field. Following these values, Quality Tile, Inc. has shown a steady growth and due to the satisfaction of our customers our referral rate has required us to increase our employee base to satisfy our many new customers. We have been able to maintain a long term commitment from employees due to the quality work environment. Never deviating from their original values, the officers and employees are committed to continued service that reflects the name Quality Tile, Inc. Thanks so much to all our faithful Builders who have supplied us with the majority of all our work since 1986. We are truly grateful and would not have been able to sustain all this time without you. Please give us a call and let us see what we can do for you.
? Showroom Tile Installation for Virginia Tile Co.